JCB introduced its Master Technician program to all dealerships in its North American network. 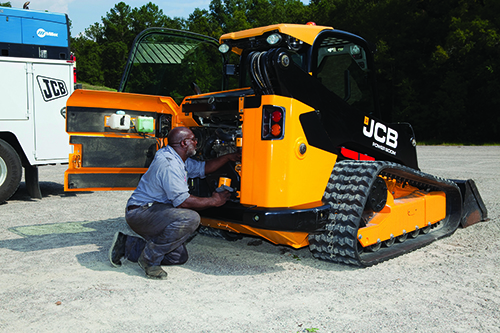 The program is designed to build the skills of JCB service technicians and recognize technicians at the top of their class. To be considered for the program, service personnel must be nominated by their dealership and pass an entry exam. Once those qualifications have been met, participants must pass a series of training programs and hands-on skill challenges at 100 percent. Participants must also receive perfect scores on all distance-learning classes, JCB systems efficiency testing, core product component testing and other service based tests to earn the designation of Master Technician. Those who successfully complete the Master Technician Program earn the special Master Technician designation. Then, they will partake in an annual competition, where the best performing Master Technician in each of JCB’s 12 regions earns a special “Master Technician Ring” to acknowledge his or her expertise. The champion will also win an all-expense paid trip to JCB’s global headquarters in the United Kingdom.